Stock # PEE02407, 6.2L V8, Automatic, 21478 mi. LOW MILES - 21,475! ELECTRONIC-LOCKING W/3.73 AXLE RATIO, ENGINE: 6.2L 2-VALVE SOHC EFI NA V8 F... 4x4, Tow Hitch, WHEELS: 17 ARGENT PAINTED STEEL, REAR VIEW CAMERA, XL VALUE PACKAGE. AND MORE! 4x4, Trailer Hitch. Electronic Stability Control, Brake Assist, 4-Wheel ABS, Vinyl Seats, Tire Pressure Monitoring System. XL VALUE PACKAGE Chrome Rear Step Bumper, Chrome Front Bumper, 4.2 Center-Stack Screen, Radio: AM/FM Stereo/Single-CD/MP3, 6 speakers, Bright Chrome Hub Covers & Center Ornaments, Steering Wheel-Mounted Cruise Control, ELECTRONIC-LOCKING W/3.73 AXLE RATIO, REAR VIEW CAMERA, WHEELS: 17 ARGENT PAINTED STEEL painted hub covers/center ornaments (STD), ENGINE: 6.2L 2-VALVE SOHC EFI NA V8 FLEX-FUEL (STD). 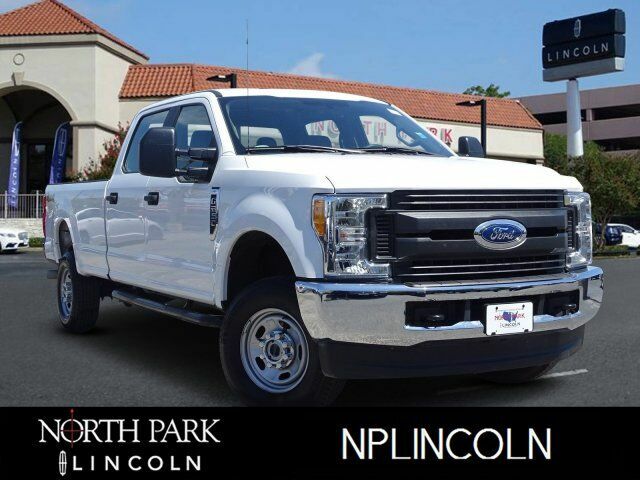 2017 Ford Super Duty F-250 Pickup with Oxford White exterior and Medium Earth Gray interior features a 8 Cylinder Engine with 385 HP at 5750 RPM*. CARFAX 1-Owner Edmunds.com explains Out back, both long- and short-bed models use aluminum that is 20 percent thicker than that of F-150 and backed by more substantial crossmembers to better withstand heavy use..